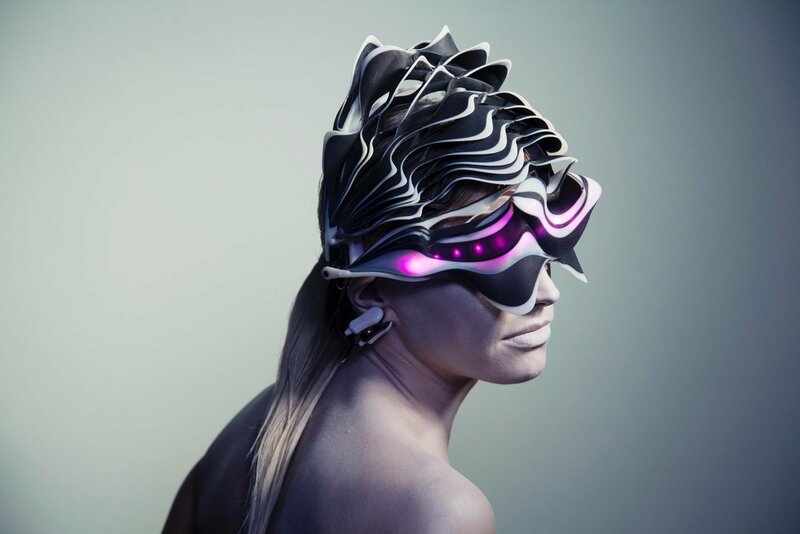 Caress of the Gaze is a 3D-printed, gaze-actuated wearable. Our skin is constantly in motion. It expands, contracts and changes its shape based on various internal and external stimuli including not only temperature and moisture but also feelings such as fear, excitement and anger. What if our garment could recognize and respond to the gaze of the other? What if our clothing could behave as an artificial skin capable of changing its shape and operating as an interface with the world, defining social issues such as intimacy, gender and personal identities? Caress of the Gaze is an interactive 3D-printed wearable which can detect other people’s gaze and respond accordingly with life-like behavior.